As you know, the algorithm known as “mobile first index” is already being implemented by Google. However, despite the “migration” had been announced in March, almost half a year passed before the actual start of mobile first indexing approach. How can you know that your website is already there? Well, there are several signals. For example, if you conduct a comparison of Googlebot and Googlebot mobile behavior over the past, let’s say, six month, you may notice that the ratio has changed significantly in favor of the mobile version. Another call is Google cache. But the main one is a letter from Google. The most obvious signal, as you understand. Google will surely notify website owners that their websites are now using mobile first index. 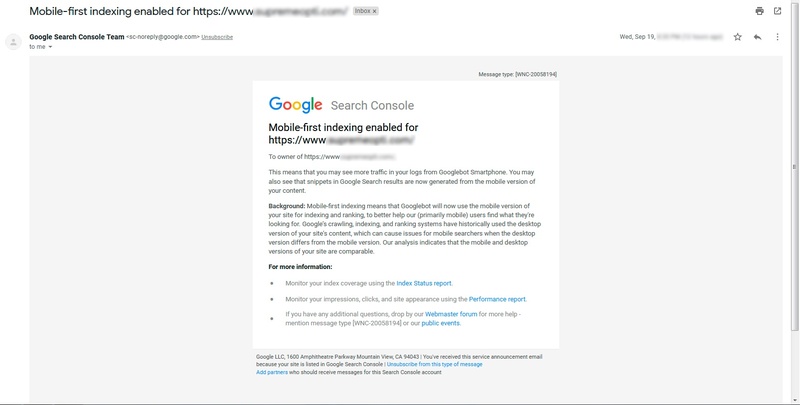 Of course, you have to register your website in Google Webmaster tools (Search Console) first. congratulations – Google is using the mobile version of your site for indexing from now on. Also, this letter will be available in your Search Console Messages section. All other indicators can only serve as a confirmation of the transition to mobile first index. And this can be interesting from a scientific point of view. However, it makes no practical sense for the average user. If you don’t mind to rifle through the server logs, you may see that the activity of the Google mobile bot has significantly increased in comparison with the standard desktop Googlebot. And that is another one signal of the Google mobile first approach. This will require some efforts and love to reconnaissance. And is absolutely not necessary if you already got a letter from Google. However, the ability to work with server logs may be useful in many other aspects. We’ve taken a Magento 2 e-commerce website with 3k monthly average unique visitors as an example and have compared the activity of Googlebot and it’s mobile colleague. At the beginning of the year the ratio was nearly 65% in favor of the desktop robot. 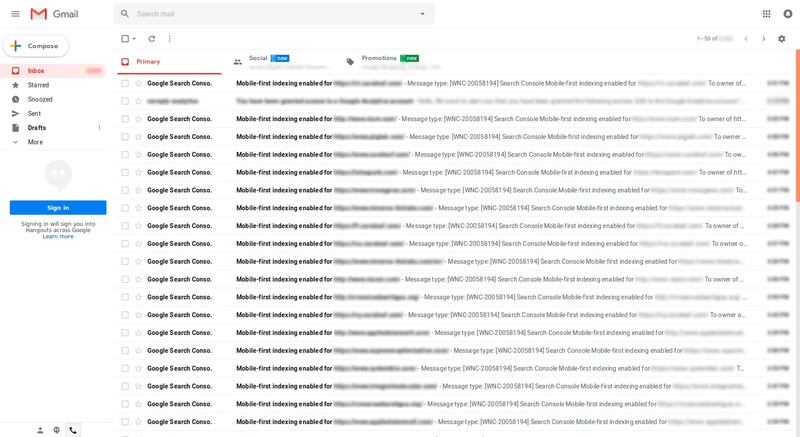 Nowadays, in October 2018, it is almost 90% for Googlebot mobile. Yesterday, for example, GBM conducted 747 of 848 overall interactions. As you see, Googlebot mobile has significantly increased its activity. You may notice that cached versions of your pages had disappeared and give 404 error now. Well, no kidding – that is another confirmation of the mobile first index being applied. This bug appears when the website moves to mobile first indexing. No worry, this is not going to affect your rankings. At least, John Mueller, Google webmaster trends analyst, says so. In a short while it’s going to be back to square one. What does Google mobile first index approach mean for website owners? This means that time has come to change the look at your website. See the mobile version, imagining your site mentally, not the desktop one. In a perfect world, you do not have to do anything. If your website has a responsive design, the mobile version is not located on the other subdomain and contains the same content the desktop version has, you may not even notice something had changed. However, you are not even going to be penalized if your website is not responsive and does not have the mobile version. You are not going to lose rankings in the mobile SERP (as there is no separate mobile index). To clarify the last point. Mobile first index technology is named as literally as possible. This means only that Googlebot looks at your mobile version first and indexes the found content. If you do not have the mobile version, Google is going to crawl the desktop one. Google says even that desktop-only websites may sometimes take higher positions relatively to mobile ones. “If it’s many other signals determine it is the most relevant content to show“. Still, having fast responsive mobile version remains one of ranking factors. And many other “signals” that Google mention may be directly dependent on the mobile version. For example, behavioral factors (that is now one of three most essential ones). How many people that pass to your website from Google using some mobile device will stay if you show them the desktop version? How does the mobile version of your website look like? Today this question is more relevant than ever, as 60% of searches are now carried out on the mobile devices! And this value is only going to increase. Of course, if your website is old enough and rather cumbersome you may be afraid to move. But the longer you wait, the more you lose. As your competitors may already have fast and responsive website or app. saving all SEO factors (pages’ “weight”, age indicators). Have any questions left? Please, contact us or leave a comment in a form below!